Automation can mitigate the time, labor, and cash necessary to make a rebate program effective and profitable for buyer and seller alike. What’s the best thing about rebates? As a buyer, you get a price break on a product you’ve purchased. As a seller, you have a guaranteed sale. What’s the worst thing about rebates? For buyers, that would be losing out on that price break because you didn’t follow through on claiming the rebate. That’s true for the B2C world. However, where it can significantly contribute to (or detract from) the bottom line is in the B2B universe. For some enterprises, rebates can amount to hundreds of thousands of dollars a year in savings, so it’s essential that those rebates be captured. But handling the tasks that go into tracking, paying, and collecting those rebates can be troublesome for both the buyer and seller. Before we go into that, let’s first remember the reasons why manufacturers and retailers offer rebates rather than simply sell the product at the final, lower price. It’s all about incentivizing. And when done properly, both the buyer and seller benefit. So what are those main reasons? Number one: if a company gets a volume-based price from a supplier for ordering 100,000 widgets, and then later lowers that order to 50,000 widgets, the supplier may not want to lose a customer relationship by increasing the per widget price. That means the seller has potentially lost its margin. With a rebate, the buyer must purchase the amount upfront and then get a rebate on only that purchase amount, so he or she is encouraged to buy in larger volumes and complete that purchase. Number two: reward customer loyalty with retention rebates. These are often, but not strictly, end-of-year rebates claimed after the customer has fulfilled specific conditions. Number three: manufacturers that sell through distributors can encourage that distributor to sell specific products or combination of products to the end-user, thus allowing the manufacturer to truly manage their inventory and better meet their forecasts. Number four: sellers can learn more about their customers’ behavior and buying patterns by tracking reclaimed rebates. And we all know that in today’s world, customer data is the goldmine of opportunity. B2B rebates can be offered monthly, annually, or off the individual invoice. 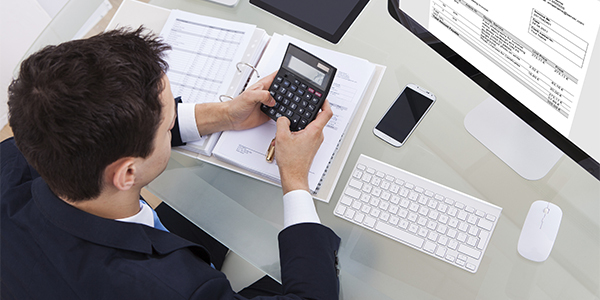 A number of variables can be used by sellers to calculate the amount of the rebates. But in the end, the rebate only has value to the customer when it’s claimed, and for businesses, this is often an issue. In a company where thousands, if not tens of thousands, of transactions occur over the course of a year, manually keeping track of what rebates are available and when they have to be claimed, and then completing the proper forms can be a huge burden for companies. Plus, when all of this is handled in a paper- and labor-intensive environment, visibility is virtually non-existent. It’s not that simple for the seller either. Either the manufacturer, or its distributor, needs to go through the processes and costs of paying the rebates back to the buyers. And again, in a paper- and labor-intensive environment with little to no visibility, that task can be quite costly and time-consuming. That’s why buyers and sellers can benefit from automating the process by looking for a solution provider with experience in capturing and fulfilling rebates. At Corcentric, we’ve been handling the capture and payment of rebates for buyers and sellers, including manufacturers, buying groups, and distributors, for quite some time, offering connectivity and visibility into the entire process. By digitally connecting all parties, the data is accessible 24/7. That’s not only good for the buyer, who is able to then claim the rebate within the timeframe and conditions required. It’s also good for the seller, who can notify buyers when they are either close to achieving a higher rebate status or close to losing one. This can be an almost impossible task for suppliers who sell to buyer groups, with the added complexity that aggregate numbers brings to the table, if the process is handled manually. 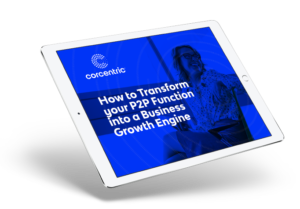 Corcentric’s solution handles this complexity automatically so the buyer gets the cash they expect and the seller gets the good will and extended customer relationships necessary for continued growth. And, by being able to track sales over time, sellers are able to reward their most loyal customers with better rebate offerings. There are other benefits that accrue due to the visibility into and availability of data on a 24/7 basis. Buyers are better able to forecast spend; sellers are better able to assess inventory and production needs. And both are able to better manage their cash flow. And, with the right, scalable solution, it won’t matter whether your rebates are year-round or seasonal; there will be no need to adjust your staff count. No business wants to see cash fly out the door; with an automated solution, they don’t have to. To learn more about how we can help your business, contact us.